Finch Capital has announced that it has exited its minority stake in Indonesian financial products marketplace Cermati to Djarum Group, an Indonesian cigarette manufacturer. According to an official press release, Djarum is looking to invest in tech companies to improve Indonesia’s economy. The VC gained a 100 per cent rate of return and a return on capital of 2.7 times via the exit. The sale price was not disclosed. Finch Capital invested in Cermati’s Series A round in February last year. Back then, Cermati offered predominantly personal loans and credit cards; today, the company offers a broader range of financial products including car loans, mortgages, other secured loans, health and car insurance. It also now offers other services such as ID verification and underwriting of microloans and insurance products. Cermati has over 1 million customers spread across various Indonesian cities including million covering Jakarta, Jabodetabek, Bandung, Surabaya, Semarang, Jogjakarta, Denpasar, Pontianak, Medan and Batam. “We are delighted to have transformed Cermati from a marketplace model to a much broader financial technology provider of diverse offering serving a large underserved population,” said Andhy Koesnandar, CEO and Co-founder of Cermati, in an official press statement. “We substantially scaled our business on our AI platform, allowing us to streamline and automate the distribution and underwriting of customized financial products,” said Koesnandar. a deeper understanding on how technology transforms the financial services value chain and facilitate the knowledge transfer from more mature markets to the Indonesian market,” he added. Cermati is Finch Capital’s first exit out of Indonesia. Its other investments in the country include Ayopop, a mobile bill payment platform, and TADA, an advocacy engagement and marketing platform. 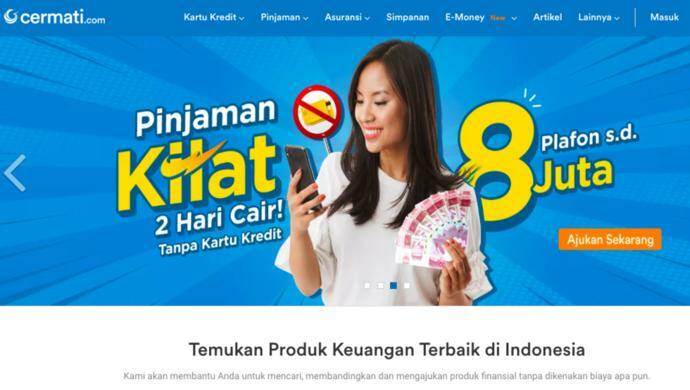 The post Finch Capital exits stake in Indonesian fintech startup Cermati to Djarum Group appeared first on e27.